Customize your pearl jewelry this classy Bright Gold swrovski pearl pendant earrings surrounded with rhinestones sparkle like real diamond infused with an innate sense for a beautiful gift for the special someone in your life or would be cool jewelry for yourself. 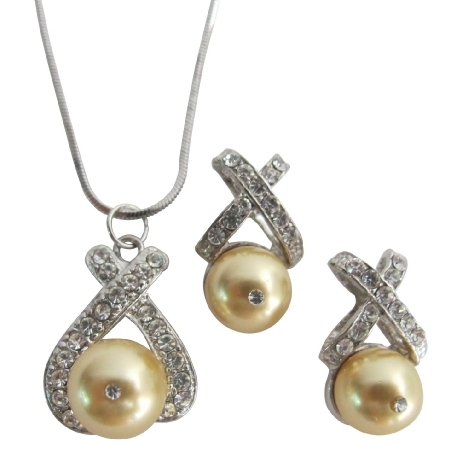 Material Used : Swarovski Bright Gold Pearl 10mm pendant & 8mm pearl earrings in gold pendant & earrings. Pendant adorned quality 22k plated chain.